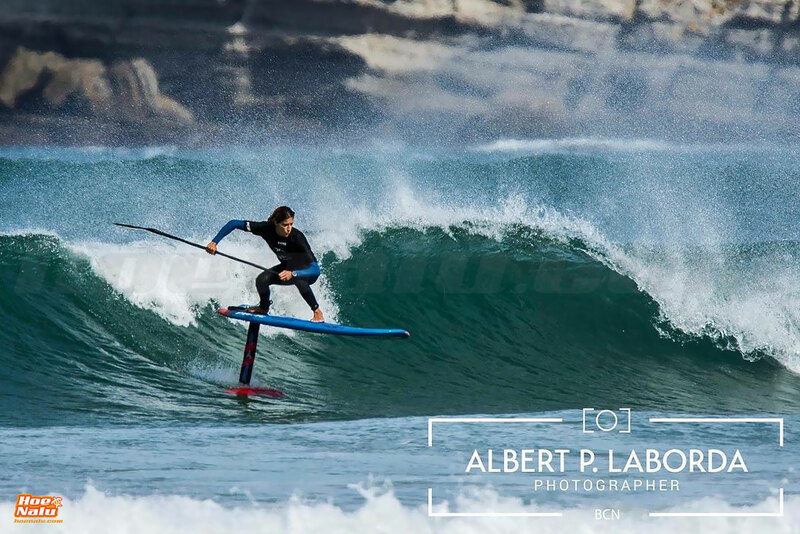 For almost all of us who practice water sports, especially windsurfing or paddlesurf, the name of Iballa is quickly related to that smiling face that the Canarian often gives us, but also to the elite sport at the highest level. Both, Iballa and her sister Daida, have an enviable sports career. Between them, or what is the same, MorenoTwins, already accumulate a whopping 28 world titles in Windsurf. 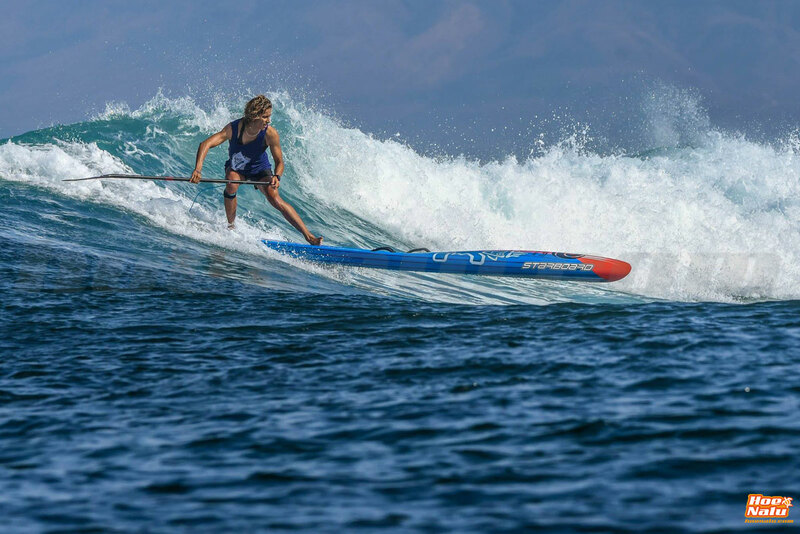 If we focus on Iballa, in addition to its 10 individual titles in wind, the last cropped a few days ago, we are also talking about a top world competitor in the SUP surfing mode. 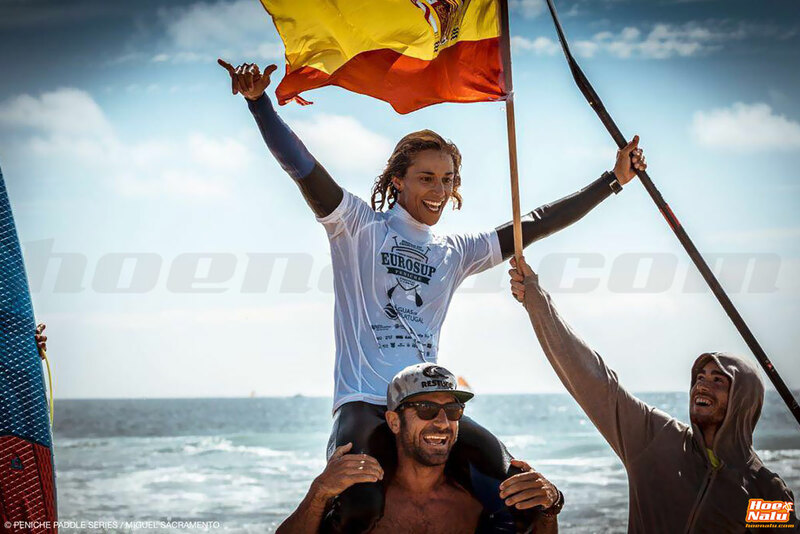 The Canarian fights with: Izzy Gómez (World Champion in 2015), Brissa Malaga, Justine Dupont, the double world champion Shakira Westdorp (2016 & 2017) and many other surfers, all the paddle surf titles that are disputed, such as the the last event of the APP World Tour in New York, where Iballa won the final to Nicole Pacelli in the waves of Long Beach. We want to take this post, to claim a greater role of these two women who have been competing for many years at a high level and being a reference in their disciplines, for which all recognition falls short, and in our opinion, should be candidates for Prince of Asturias Sports Awards or any other award that recognizes their careers. After this brief plea, we focus on the interview we have done with Iballa for the ISA World SUP and Paddleboard World Championship to be held at the end of November in Riyue Bay, at the Chinese island of Hainan, and to which one more year will come as captain of the Spanish Stand Up Paddle and Paddleboard team. 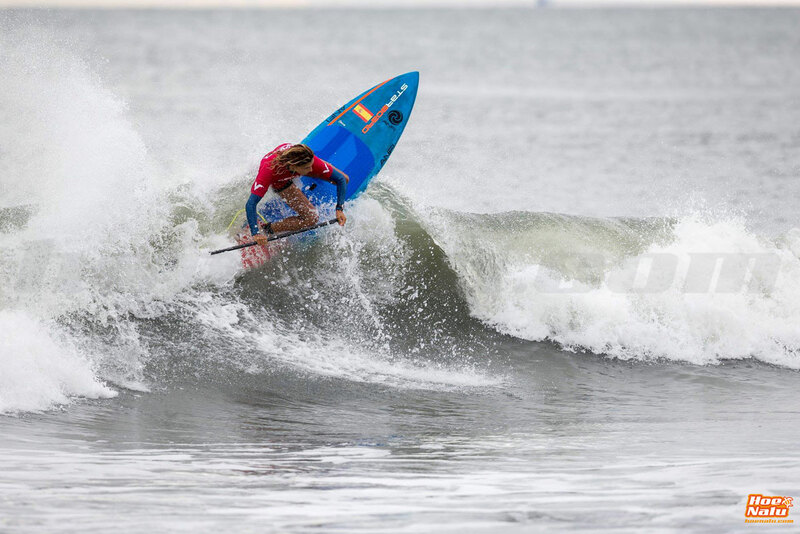 Hello Iballa, first of all congratulations for your double wins in just one week, winning the New York APP SUP surfing event and the Wave Windsurfing World Championship. Awesome! Congratulations!. The next appointment is the SUP ISA World Cup. Looking to the World Cup, what is the objective of the Spanish team? First of all I am very happy because we have got the help to go the whole team. Alternativa Digital, HoeNalu and the Spanish Surf Federation have put a lot on their part to bring everyone. It is a very large team (12 athletes) and many are juniors. Our goal is to make a great role each one in our discipline! We believe that we have a great team and we hope to be able to opt for individual medals and obviously for teams. At the individual level we have great competitors in the team. After the European in which Laura Quetglas took the long distance European Championship and the good performance of Rafa Sirvent and Pablo Ania, how do you see your teammates? Recall that Susak Molinero will join the selection after having been disputing the PPG in Dana Point (California), and shortly before closing the interview we learned that Sheila Sirvent joins the team. We have a great racing team. The women will give some surprise. Laura is very strong and has trained very hard this season. Sure for a great role in all the disciplines it will do (sprints, long, technical and relays). Susak will only have to do the long distance race and she will surely give it all! And Sheila will accompany the team for the first time. It will be a great experience for her. In juniors Aaron and Aida will surely make it amazing too. We have closely monitored the rest of the teams and in general I am sure that Spain can opt for medals. Pablo Ania and Rafa Sirvent will make it incredible! Like Quique who will also be part of the national team for the first time. 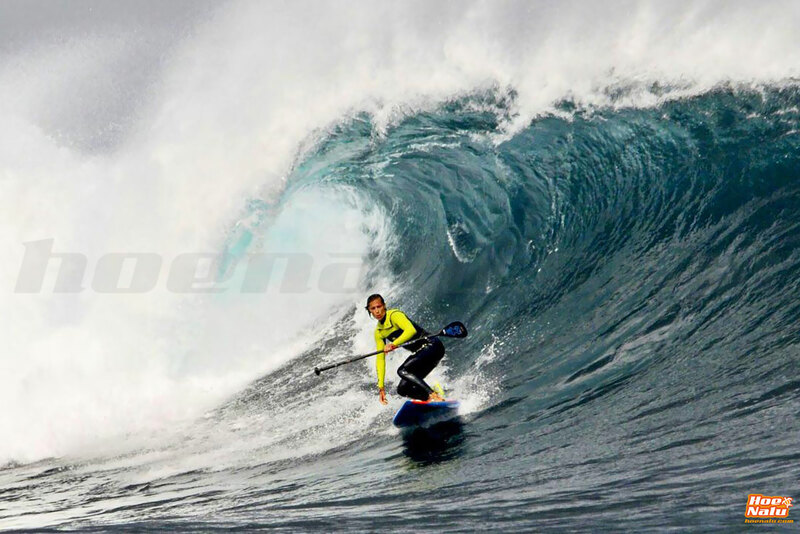 In SUP surfing we have Juan de los Reyes and Oihan Aizpuru in the men's competition, and Alazne Aurrekoetxea accompanying you in the female. What can we expect from these young boys who surf so well? I'm glad Alazne is coming this year. Could not accompany last year in Denmark (the first year that equaled the number of men and women in the world ... before it was just a girl and two boys both in race and in waves), and neither prone and we did not have the team to full. The world championship always motivates more to go the whole team to opt for team medals as well. 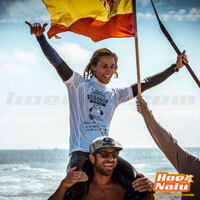 Juan de los Reyes has an incredible surfing and with his age I am sure that with his motivation and his training he will be part of the national team for many years. For me it is one of the great promises in Spain in SUP Surfing, and on a personal level I love his surfing and he is also a very noble child and good companion. Oihan is very strong! With only 18 years old he is very focused on his studies in medicine! He is a great athlete. We hope it also plays a big role in China. In prone we will have David Buil who is no stranger in the ISA worlds. A great athlete! And I'm sure it will be among the best. As a novelty we will also have a girl prone this year and will be Judith Verges. I am sure that she will also give everything to be among the first positions. 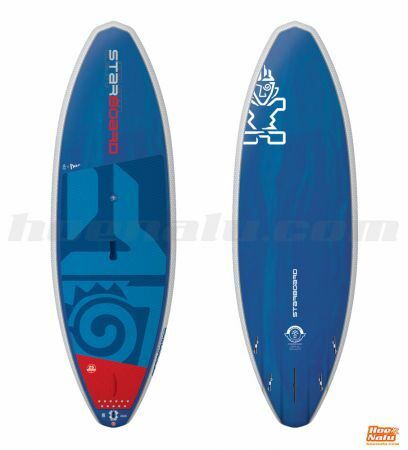 Finally you, Iballa, captain of the national team, and candidate for the title of World Champion in waves, right? 3rd in Peru 2013, 4th in Nicaragua 2014, 3rd in Mexico 2015, 9th in Fiji 2016 and 7th in Denmark 2017, awesome! This year WIN, right? Right. It is very difficult. But I will try my best to reach the final and enjoy it. For now, I do not think about it just to enjoy surfing, which is what I like and to visit a new place in my 20 years of sports career. There is a great level, remember that they are the best in each country and I am sure that they will all go for the gold medal! We will try to do the best, I'm sure of that. I am motivated and training a lot to arrive and enjoy. After the last World Championship in Denmark, where the paddlesurf competition was held in Cold Hawaii, we met in Tarifa during the presentation of Starboard 2018 and you told us that you went to the event, dragging some physical problem that prevented you from performing at the top. How do you get to China? Yes. From the Fiji World Championship the knee was not good, but I'm already full!. Training a lot and improving backside surfing that will probably be what we will have in China (left waves). I am in Fuerteventura training every day with Oscar Ruiz and Pablo Valencia, the Lovers etc, they motivate me a lot and I enjoy them out and in the water! After winning the Windsurf World Championship in Sylt (Germany). Do you focus on SUP alone? 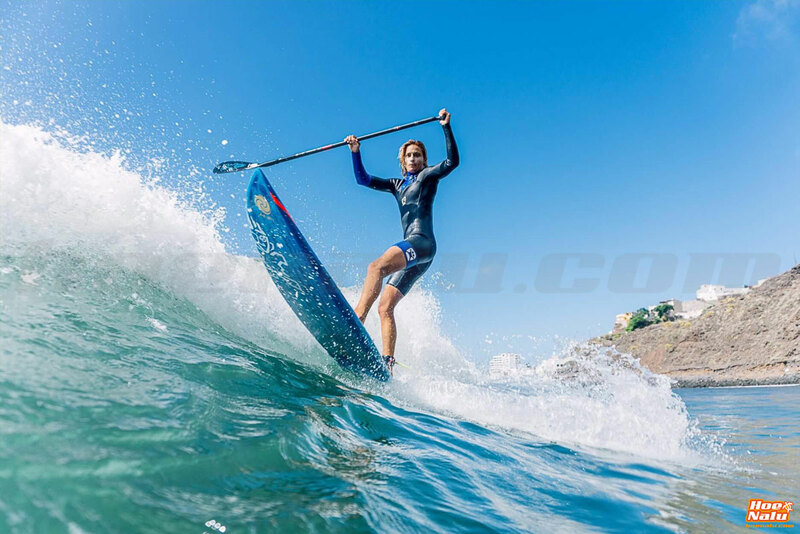 Do you make a specific training for the SUP Surfing Championship? Yes, Germany was my last date of the world windsurfing circuit of the season, so I can look at these months to be 100% on SUP. Preparing physically three times a week minimum, pool, and many hours in the water with Oscar Ruiz and Pablo Valencia. So very focused on the next challenges! China, Fuerteventura Spanish Championship and the last date of the APP world circuit in my island, Gran Canaria, where I will arrive first of the ranking and with much desire to make a good performance. 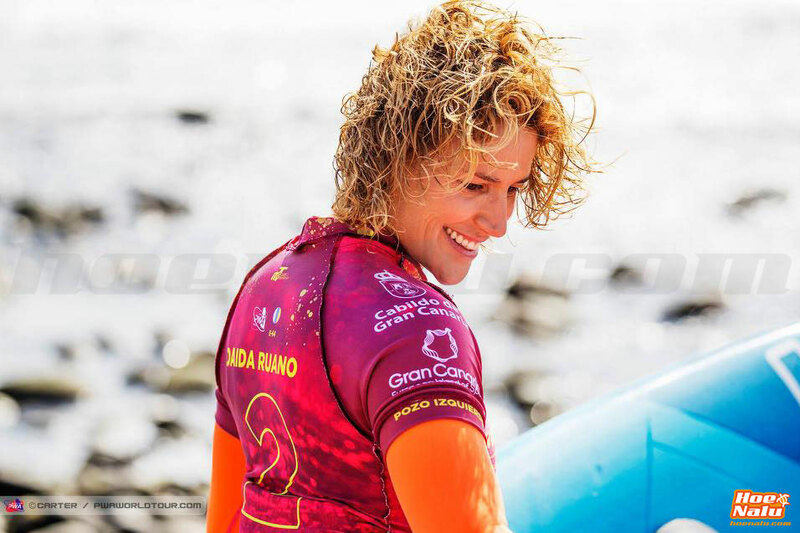 In Tarifa we also coincide with Shakira Westdorp, World Champion 2016 and 2017, and with whom you shared surf trip for your beloved islands. Is she the favorite to win the title again? Shakira is certainly one of the strongest surfers, especially with waves on the left, she is goofy foot. Almost all of us that compete are regular surfers. That will help her, I'm sure of that, especially with small waves and little force. Anyway, as we saw in New York, everything is possible! And Shakira did not reach the quarterfinals and Izzi Gomez did not make the quarterfinals ... for me the two favorites girls at this event. So nothing, to try to go step by step and enjoy surfing and waves, because the training is practically done. 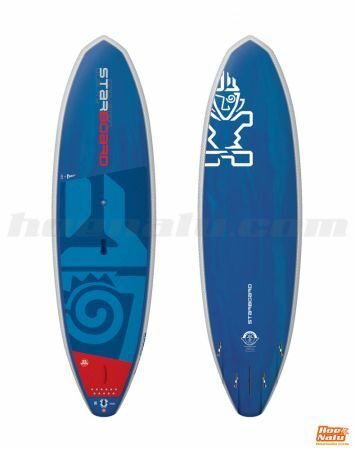 When we talk with Shakira in Tarifa she told us that she was very impressed with the performance of the Starboard Hypernuts in surfing, in fact, the new Pro 2019 of the Tiki brand have "copied" part of the nose and tail channels of those models. What board will you take in the World Championship? What size do you usually use for surfing? Well, I just traveled to Barcelona to pick up my Starboard 7'0" Pro 66 L board which is probably the one I will take to China. I had the opportunity to try it yesterday and the first impression is that it is an incredible board. Shakira will surely take it too. I have been in contact with her and we share the same impressions about this new model. A question that people ask us very often is about the ideal length of the paddle. What is your paddle length? Right now at eye level. But I'm looking to cut it a little more, probably up to the nose. Keep in mind that we go in the boards of a few liter and something sunk. That's why we take shorter paddle. Apart from that to handle it and surfing is much more effective at the time of the turns, paddle changes etc. In Tarifa we also saw you try some Starboard race board. Have you thought about participating in a technical or long distance race? I usually participate in the Canary Islands. But this season I will not be able to participate in the Spanish Championship because I will surely be back in Gran Canaria to prepare the last round of the APP world circuit. But I love doing downwinds and they are part of my training. Mixing windsurfing and SUP, what does each sport give you in the other one? They give me everything in my life! From very small, both, my sister Daida and I, dreamed of the waves until we discovered windsurfing. In 2009 I discovered the Stand Up Paddle thanks to my friends Stephane and Nicole Boronat and since then I have not got off the board. Combining every day windsurfing, surfing and SUP. We have recently seen you competing in SUP foil in Somo. How about the foil experience? Yes, with the foil I have not been long and it's just another toy. I've been curious to try it and it's really fun. I had the opportunity to go to Somo with it but I still have many hours of practice. Surely this winter I will continue giving everything! So there are no excuses for not going to the water. Returning to the competition, after the World Cup the last date of the APP Tour will be held in Gran Canarias. Do you close the 2018 season in that event? What are your goals for 2019? Make a recommendation, apart from your islands, what place has surprised or liked you and would you recommend to visit to have an unforgettable SUP surf trip? Australia. No doubt a place to discover! Recently we saw Daida and you on the Spanish TV show "Desafía tu mente". At the beginning of this interview we demand a little more attention to "our" sports in general and to athletes of your level, who have been in the top world for so many years representing the Canary Islands and Spain. Do you feel a little "forgotten" by the media? ? Will there be more television appearances? You are right. Quite forgotten being women athletes in a sport such as windsurfing or SUP. I am happy to be able to show our water sports on the big screen and we hope that there are more programs interested in making us reportages. "Desafía tu mente" was fun, hehehe! and I had the pleasure of meeting Antonio Lobato! We owe him some Windsurf and SUP lessons. Finally, even though we are in the 21st Century, there are still women who see these sports reserved for men, what message would you send them? Just try it. Water sports have no gender! And they are for all ages. How is equality worked within the sports you practice? Is there a lot of difference as far as gender is concerned? We have seen some events that equate money prizes for both genders without making distinctions. Daida and I are fighting for a big change in this regard. We are the organizers of one of the dates of the Windsurf World Championship at Gran Canaria island and this year we have equaled for the first time in the history of sport the money in prizes for men and women. We even appear in "El Intermedio" with El Gran Wyoming, in national news, etc. Shortly after we've seen it in the WSL and I think that's the first step to a big change in the future. We will continue fighting for this and trying to make it an example to follow for all sports. Regardless of TV, today we have the opportunity to follow you in the social media and see you competing practically anywhere in the world. In China it will not be less, and we will be supporting you as always and following your day to day through social media, in the profiles @spainsupteam, @fesurfing_, @isasurfing and with the hashtags #larojasup & #isaworlds. You can follow UP Suping for spanish comments of the World Championship, and of course @morenotwins to follow Daida and Iballa. Finally, we wish you and the whole team a lot of luck for China, a good trip and many successes in the competition. Thank you so much for everything!